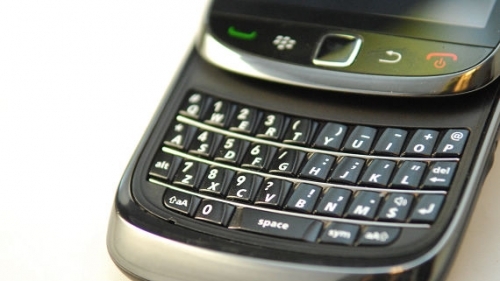 BlackBerry Torch sales not so great - only 150,000 sold at launch | BlackBerry Blast! The bad news keeps streaming in for RIM. While the company is embroiled in a security situation with foreign governments demanding access to encrypted BlackBerry messages, RIM is struggling to keep rivals Apple and Google at bay. Their latest phone, the BlackBerry Torch 9800, was supposed to provide a lift to the company but so far the news isn't great. Goldman Sachs was not impressed with the Torch's launch and downgraded RIM to a "sell." Now the numbers are coming in and it looks like RIM only sold 150,000 Torches at launch. "Analysts at RBC Capital Markets and Stifel Nicolaus both put weekend sales at around 150,000 phones. In comparison, Apple Inc. said it sold 1.7 million iPhone 4 units in the first three days. To be sure, many Torch sales will likely go to RIM's core business clients, who can be slower to adopt the latest models." I'm sure RIM will still be a player, but they'll need to really step it up to compete with Google, Apple, and Microsoft. While Microsoft has missed a cycle in the smartphone market they are a huge company with lots of smartphone experience. They will release Windows Phone 7 and will surely get some people to jump in due to the Exchange integration. Can RIM keep up? Stay tuned.